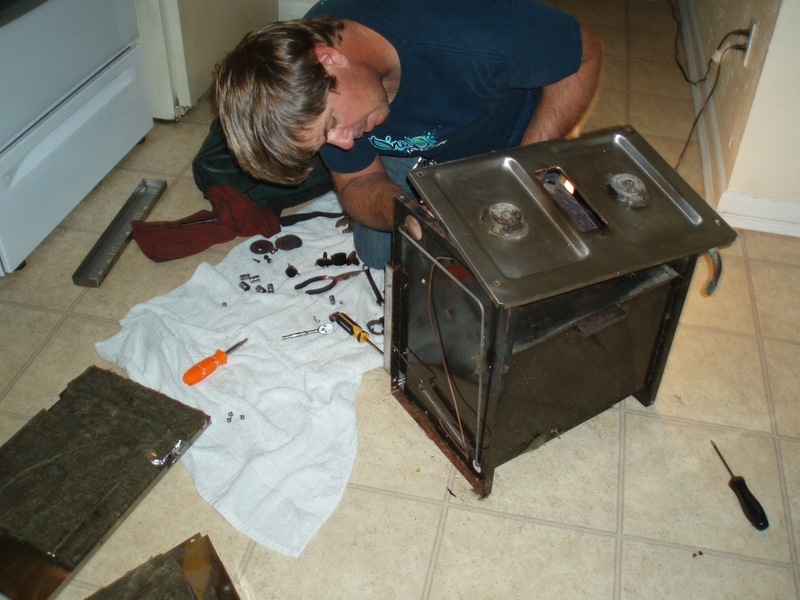 As part of revamping the entire propane system onboard, we gave my little stove an overhaul. I have struggled with it since we bought the boat. The oven didn’t get quite hot enough, the stove jets wouldn’t light completely, but most frustrating of all, I couldn’t fit my favorite pot on the stove top. Not only that, I couldn’t really fit any two pots on at the same time. 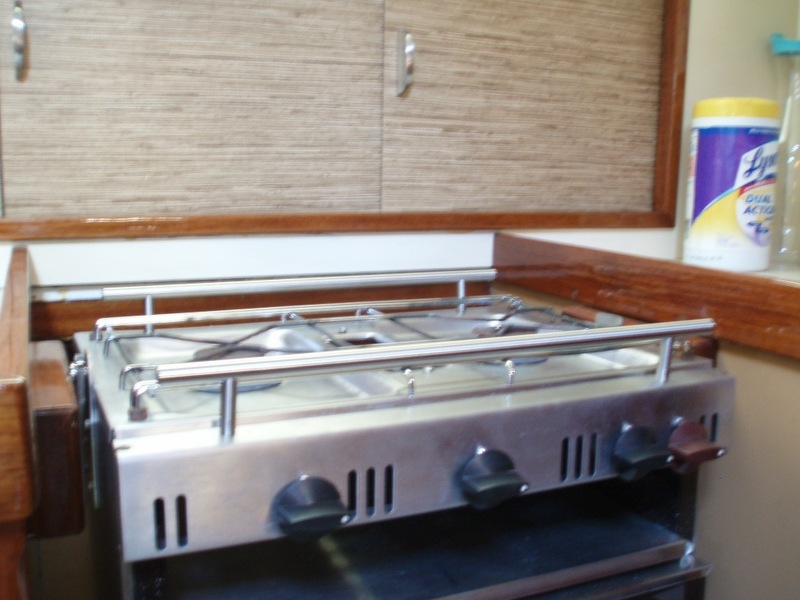 The built-in pot holders had reduced the usable stove top size so much that it was almost useless. Even my smallest sauce pan wouldn’t fit centered above the burner. At first we thought about replacing the stove but it seems its dimensions are a bit narrower than standard and the price of a new one just isn’t fitting into the budget. So………. 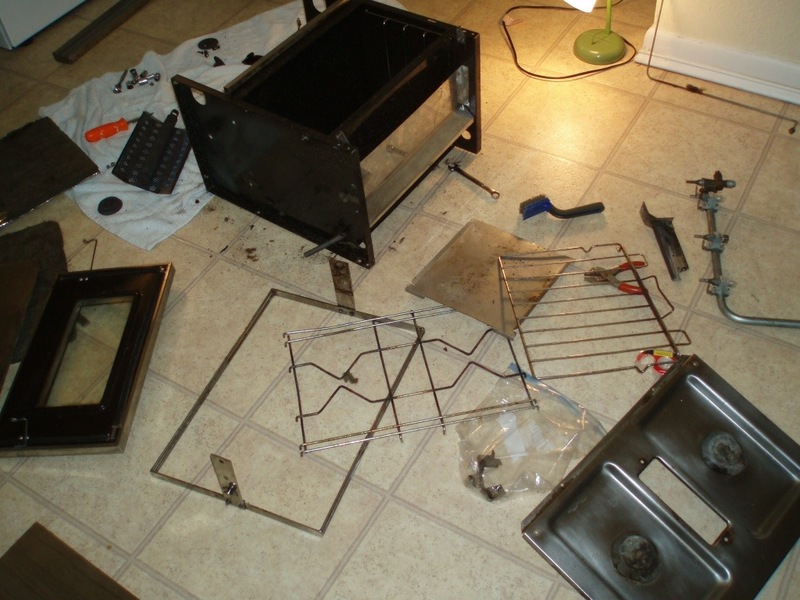 We completely disassembled and cleaned it, including all the jets to get a more even flame. Keith cut off the stainless pot racks and I got to brainstorming on what to replace them with. My solution was two large stainless drawer pulls from the hardware store. Actually the pulls were not high enough as they were and I had to buy an extra set for Keith to cut down and make spacers to raise them up-we got it to work though. Alone they will work for everyday use and if needed I can clamp on the actual pot holders to them if we are really rocking. Now, not only can I fit (and keep) my favorite pot on the stove- but I can fit a sauce pan next to it! Now we are cooking! It's hard to explain how giddy this makes me. Its such a small thing, changing the pot holders, and yet it will make a huge difference in how much I enjoy cooking aboard.